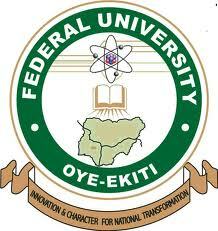 Federal University, Oye Ekiti, FUOYE 7th matric ceremony for her 2017/2018 newly admitted students has been announced. The venue, date and time of the event has also been declared. All such students that have just been offered provisional admission into Federal University, Oye Ekiti are hereby informed to be prepared for their matric. The management of FUOYE wishes to inform the general public and especially, all the newly admitted candidates into the Federal University, Oye-Ekiti (FUOYE) that the university’s matriculation ceremony which is to be held for the 2017/2018 fresh students has been announced. Below is the schedule of the event. This is to inform all the staff and students of the Federal University, Oye-Ekiti (FUOYE) that the management has announced the date for the 2017/2018 academic session matriculation ceremony. FUOYE 7th Matriculation Ceremony will come up on Thursday, 12th April, 2018. Consequently, all fresh students are expected to pay their school fees on or before 3rd of April, 2018. Any student who does not meet the deadline for the payment of school fees will not be matriculated. it then implies that any student who fails to pay up on or before Tuesday, 3rd April, 2018 will forfeit his or her admission.